Barbets are colorful, small- to medium-sized birds. They have a thick, stout bill that is cone-shaped and sharply tipped, bristles (in most species) around the mouth and bill, and tufts over the nostrils. 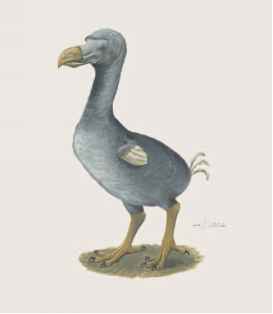 They have a rather large head, a forked or brush-tipped tongue, short and rounded wings, a short tail, and a zy-godactyl (zye-guh-DACK-tuhl) foot structure (two toes pointing forward and two toes backward). The bill is heavy and strong, being short but solid in smaller species and rather long and pointed in larger ones. Males and females look alike in African and Asian species, but look different in color and patterns in South American species. Many African species are mostly black and white with patches of yellow, red, or both in various patterns. Asian barbets are mostly green with patterns of yellow, red, purple, brown, and blue in the chest, head-top, and cheek. South American barbets are often showy-looking birds with black, white, red, and yellow present. Others have orange breast shields or red breast bands. Adults are 3.2 to 13.8 inches (8 to 35 centimeters) long and weigh between 0.3 and 7.2 ounces (8.5 and 203 grams).